Gear we’ve used and tested on the trail along with book reviews and interviews with local shop owners. We’ve done it before here and here, and we’re back this year to do it again. There are still 11 days of shopping left until Christmas, and these are our top 10 gifts for the trail lover in your life. Some are ideal for on the trail and some are good for prep and recovery and some are created right here in Kansas. And they’re all awesome! 1. Well, let’s be honest. As the authors, there was really no way we’d be able to start a list with anything but our very own Kansas Trail Guide: The Best Hiking, Biking, and Riding in the Sunflower State. But in our defense, it’s an ideal gift for any trail lover who might be passing through the Midwest. If you want your copy signed, send us an email at: kansastrailguide [@] gmail [.] com. 2. Via the Trail Runner magazine website, honey can help keep you going. You can buy local honey from places like KC Raw Honey, Chautauqua Hills Farm, Glenn’s Bulk Food, and more. 3. Pricey? Yes. Amazing? Also yes. Yeti has some of the best coolers around; we like the Tundra 35. You can stand on them, if the occasion warrants, plus they have up to 3 inches of insulation and are easy to haul around. They have a 5-year warranty, and according to their website, they’re grizzly proof (though I suppose that’s not really an issue in the Midwest!). Pretty much the last cooler you’ll ever have to buy – not only for its ability to keep your ice from melting, but for its incredible durability. 4. Handmade, natural soaps. You have to (or at least should) clean up after a day or five on the trail, and why not use soap that’s handcrafted in Kansas? Try out Great Cakes Soapworts (you can also find them at the Olathe Farmer’s Market in season) or Foam on the Range. 5. Handheld GPS devices can be wildly helpful. They can also be a tad unwieldy to lug around off the trail. Fix that problem and be ready for adventure at all times with the Garmin fenix 3. With the Sapphire version, you can get it with a leather strap or in rose gold and white. And with the standard fenix 3, you can get red or black. Oh, and they both do the requisite awesome GPS tasks from tracking your route to being waterproof to telling you altitude, pressure, and direction. 6. The perfect fit to a stocking and at times ideal for trail prep (just don’t overdo! ), a bag of heavenly smelling and heavenly tasting coffee beans. Try PT’s Coffee Lump O’ Coal blend with tastes of chocolate. 7. If you’re a cyclist, you may already have these tools, but it’s pretty likely they don’t come in this nice of a package! Fabric has made its Chamber multi-tools in swish and smooth canister. You get 13 easy to access tools in a container that won’t snag on anything in your panniers, and they have a fixed head and a ratchet head option. 8. Perfect for day hikes, which many of the Kansas trails are, Osprey has unveiled its 2016 Skarab 24 . Along with a built-in 2.5 liter hydration reservoir, it has a hip belt to help spread out the weight, a scratch free pocket perfect for sunglasses or a phone, and an easy access outside “shove-it” pocket that, as it happens, will fit the Kansas Trail Guide! 9. Another 2015 book from University Press of Kansas is Kansas Wildflowers and Weeds. This large, nearly coffee table size book is full of color images and descriptions for the most devoted plant lover in your life, and you can see how many you can spot along the way. 10. You can give a membership gift to the Rails-to-Trails Conservancy that will not only get you (or your loved one) a t-shirt, but you’ll know that the money will be going to making more trails and supporting the upkeep of rail trails already in place. You can also donate directly to the Kanza Rail-Trails Conservancy, which does work entirely within Kansas – they helped build the Landon Nature Trail and are working to finish the Flint Hills Nature Trail. While normal hikers appreciate big views, wildflowers in bloom, or clouds drifting overhead, I must admit to spending a slightly inordinate amount of hiking time checking out the trail under my feet. A good trail can do much to enhance the hiking experience, but the worst are prone to erosion or just generally boring hiking. Each step of a well-built trail is carefully planned and constructed with a great deal of muscle and sweat. Without being on a crew (and I highly recommend the experience), it’s hard to get a sense for the art, science and just plain dirty work that goes into building an excellent trail. 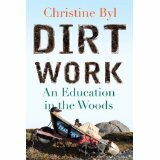 In “Dirt Work”, Christina Byl recounts her journey from a rookie crew member building alpine trails in Glacier National Park to a crew leader calling the shots in the wilderness of Alaska. Byl has vast experience working on trail crews and she accurately portrays the “work hard, play hard” experience of the traildog life. The book rolls the dirt and the glory of trail-building into a fascinating and insightful assessment into the proud blue-collar world behind your favorite trail and will leave you yearning to spend a summer cutting tread in the high country. 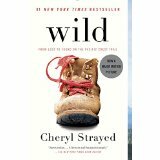 With a life unraveling and out of control, Cheryl Strayed undertakes an ambitious hike to try to make sense of it all. And by rather ambitious I mean she merely sets out to hike the majority of the Pacific Crest Trail. Solo. Of course she has scant experience, a pack much too big, and boots painfully too small. Despite this prescription for epic failure she perseveres and chronicles the drudgery, pain, and elation of life on the long trail in wonderful detail. In my experience, time in the woods alone brings a sense of perspective and clarity to life, and after months on the trail Strayed works through the crucible and comes out on the other side a truly different person. Here are our picks for the best gifts to get for anyone you know who loves to explore Kansas trails! 1. Kansas Trail Guide. You may not be able to get the actual book until March 2015, but you can go ahead and pre-order our Kansas Trail Guide: The Best Hiking, Biking, and Riding in the Sunflower State . From $24.95. 2. Merrell Grassbow Air Trail Running Shoe . This is a trail-running shoe with enough traction to take on the rockier trails of Kansas, but light enough to be comfortable all day. From $99.95. 3. Osprey Stratos 24 Pack. It has a lightweight frame for a total weight of 2 pounds 4 ounces, and it can carry 22 literes/1,343 cubic inches, which makes it a good size for a light day on the trial. The mesh back panel helps keep you cool, and it has 6 total pockets for everything you might need, including a water reservoir pocket, and the adjustable waist belt means you can load it up and still carry it comfortably. Plus, it comes with a rain cover. 4. The Kansas Sky by Konza Press. 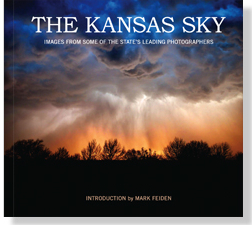 The book features photographs of 45 Kansas skies, and as a 5 x 5.5 softcover book, it’s perfect for a stocking stuffer, and all money goes to the Kansas Sampler Foundation. $10.95. 5. Fresh roasted coffee. Get fueled up for the trail with a cup of coffee from Reverie Coffee Roasters in Wichita. You can shop for fresh roasted coffee at their store or online. 6. Outdoor Research Helium II jacket. The wind and rain can kick up quickly out on the prairie, particularly in spring and fall, and you’ll want to have a lightweight waterproof layer to help keep you dry. Plus, Outdoor Research has an “infinite guarantee” on its products. For the Helium II jacket, the women’s weighs 5.5 ounces and the men’s weighs 6.4 ounces. Both pack down to around the size of a granola bar, so they’re easy to bring with you on the trail. From $129.95. 7. Garmin GPS device. Since there’s not always cell-service, you can use a Garmin device to keep track of where you are on the trail, and you can use it to input coordinates from the Kansas Trail Guide to help keep you on track. 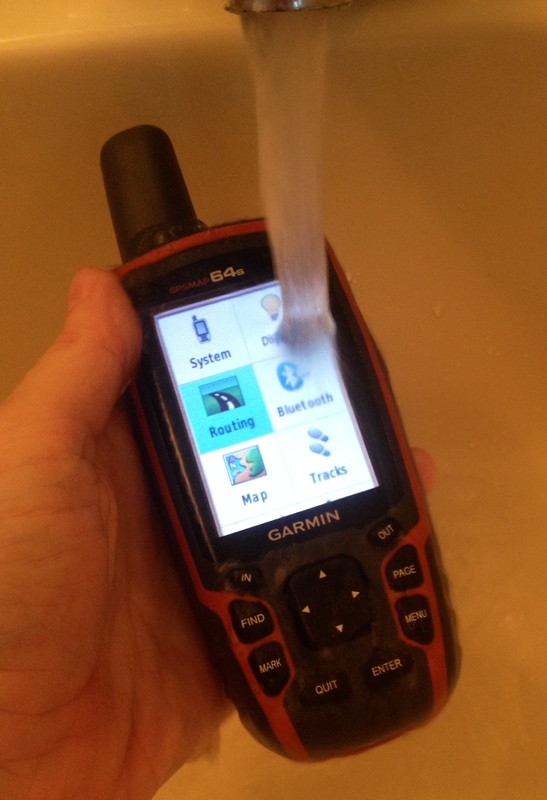 Our favorite devices are the GPS Map 64s (non-touchscreen) and Oregon 650t (touchscreen). 8. Kelty Pathfinder 3.0. Just because you have a baby or toddler doesn’t mean you have to forego your time on the trail. With the Kelty Pathfinder 3.0 for kids 16 to 40 pounds, you get all kinds of bells and whistles. There’s a hydration compartment for you, a sun hood for baby, and it’s easy to fit the pack for your as well as your kid. It also comes with a zip-off daypack for storing snacks, diapers, and whatever you might need. From $279.95. 9. The Guide to Kansas Birds and Birding Hot Spots . Kansas is on the Central Flyway, a bird migration route, and it’s a great spot for birders. For beginning and moderate level birders, this book has all the information for finding and identifying the state’s birds. It includes types of birds along with maps and a calendar of Kansas bird activity. From $17.25. 10. The Stick – Roller Massager . After a long day on the trail, whether it’s on foot, on a horse, or on a bike, you may end up with sore muscles. To help work them out, you can get a massage, or you can give yourself one with the 24.5 inch roller massager. It helps your muscles recover quickly, and you’ll notice less soreness and stiffness if you use it regularly. From $27.45. The time has come to review another Garmin GPS device. 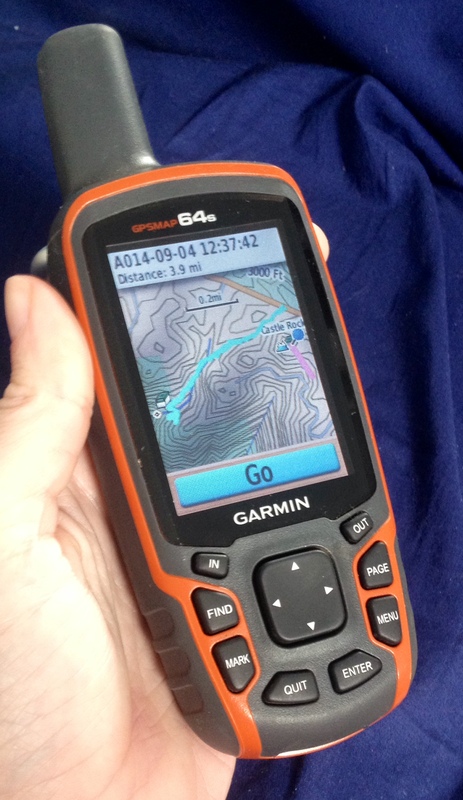 First we had the eTrex Legend, then the Oregon 650t and now we have the GPSMAP 64s ($399). Comes with a basemap that you could still use to follow your own track and you get a free regional 24K topo map that you can download via your computer. Uses GPS satellites as well as Russian GLONASS satellites, which means that in heavy tree cover or canyons, you still get a signal. Screen is sunlight readable and can be brightened or darkened – darker gives you more battery life. Can be connected to your computer via USB and tracks can be transferred via BaseCamp. It’s a handheld device that also comes with a way to carabiner/clip it to your bag or a mount to put on a bike. Great at determining elevation with a barometric altimeter (though, frankly, in Kansas, this isn’t as much of a concern) and electronic compass gives good bearings on which way you’re facing, even if you’re not holding the device level. Want to know when you’re within .05 to 250+ miles of a certain spot? You can set a proximity alarm for different locations that you can set before you leave or at the car. It can be synced with Bluetooth and you can also link it to get text notifications if you pair it to your iPhone (apparently – I didn’t try it because I didn’t want alerts on the trail). You can wirelessly send and receive data with other GPS devices. It gives you sun/moon data – daylight hours left are important to know, and you won’t miss sunrise. Thousands upon thousands of preloaded geocaches that you can check off, if you’re into that kind of thing. My main annoyance was that there wasn’t a touch screen (I’m used to touch screens, though my slightly more Luddite brother was a fan of the buttons from the start). But as I did some thinking about it, it’s easier to use buttons if you have on gloves or if it’s raining. So it may take some getting used to for those more accustomed to smart phones, but I think it’s something work getting used to. It doesn’t have a camera. Another thing to consider is the mapping. With the 64s, the topographic maps don’t come loaded, though it does come with the option to get one region of 24K topo maps for free as well as the option to buy more. If you want maps preloaded, you can get GPSMAP 64st, which comes with 100K topo maps (not as great a resolution as the 24K, but for Kansas, which has relatively little elevation concerns, 100K is fine) and that will cost you an extra $100. For $100 less than the 64s, at $299, you can get the Garmin GPSMAP 64, with that you lose the wireless connection and the barometric altimeter and the triaxial compass, so you have to hold it level to get an accurate reading. Take some time to play with it before you head out on the trail, download your free 24K map, always carry extra batteries, and have fun tracking your trail runs or geocaching efforts. As the weather warms up, wildflowers will start to bloom. Lots of Kansas trails have some spectacular wildflower displays along the way, and in the book, we will have a list of the best trails for wildlife/wildflower spotting. While you’re out on the trail, you can carry along a book to help you identify the different plants and flowers, University Press of Kansas has a great field guide. Or, if you’re looking to use something you probably already have with you, your Android smart phone or iPhone, you can use an app. Written by the same author, Professor Michael John Haddock, who wrote the University Press of Kansas field guide, the Wildflowers of the Great Plains app is an easy to use, high tech way to ID plants and flowers in Kansas and the Great Plains. There’s a free version with 25 plants and flowers or for $3.99, you can check out over 500 species. You can search by location, habitat, flower color, or just browse by name. 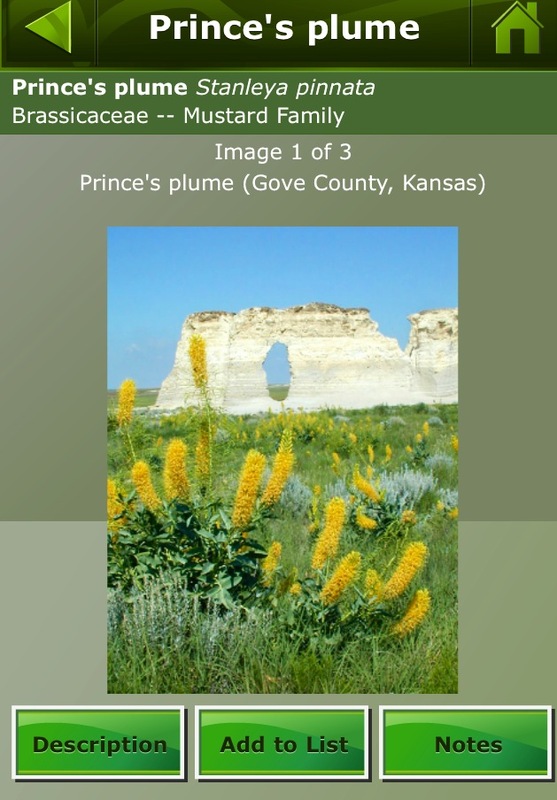 Each flower or plant includes an image of it as well, with lots of the representative images from Kansas, like the Prince’s Plume here that’s in Gove County. 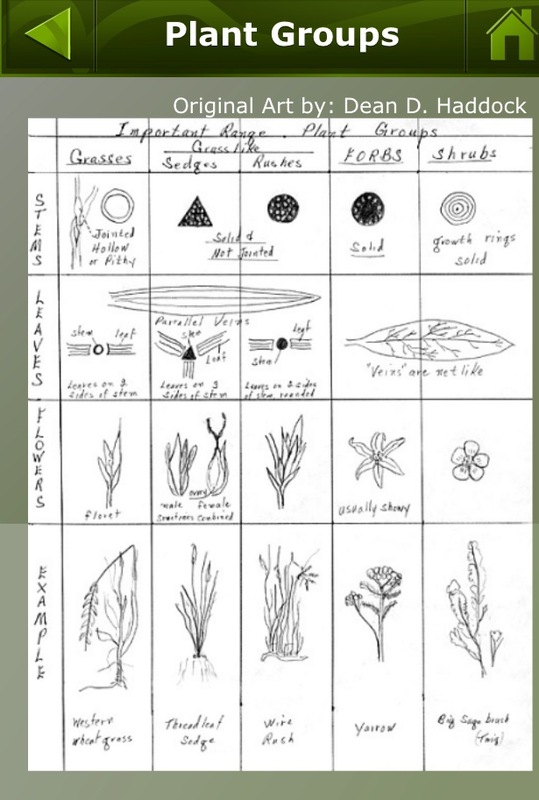 There’s also a quick section on plant morphology – flower parts, shapes, leaf attachments, etc. so in the description of the flower on the app, you can double check you know what you’re looking at out on the trail. Bonus – the app works without cell signal, so you can still check out the flowers without having to be connected to the rest of the world. What do you think of using technology out on the trail? And do you have a favorite Kansas wildflower? Let us know in the comments below. While the north wind blows cold and snow blankets the trails for the season, it’s time to turn your thoughts towards finding the perfect gift for the next big adventure. Here are our annual recommendations for 10 unique gifts that trail-lovers are sure to appreciate. 1. A gift membership to the Kansas Trails Council, Kansas Singletrack Society, or the Kansas Horse Council. As the leading organizations devoted to building and maintaining trails throughout Kansas, each of these organizations provides a great opportunity to get involved and make a difference. 2. Garmin Oregon 650t – If you want a top-line GPS unit on the trail, this should be at the top of your wish list. The GPS is highly accurate with a large display and touch screen that makes for easy navigation. The built-in camera is a great feature that allows you to instantly geo-tag your photos. 3. Wildflowers and Grasses of Kansas: A Field Guide – The best of the botanical world at your fingertips, finally you can own a usable guide full of color photos that is specific to Kansas. 4. 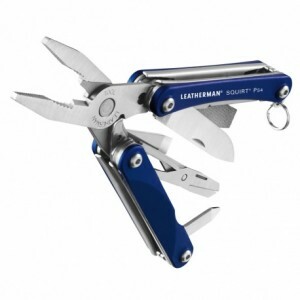 Leatherman Squirt PS4 – Lightweight yet fully functional, the Squirt PS4 is packed with an assortment of useful tools. On the trail the pliers are particularly handy to remove all of those stubborn thorns that may have embedded themselves in your bike tires. 5. Heartland Beef Jerky – Buy local with this savory jerky made in Kansas by Del and Jenny Wyman. An impressive assortment of flavors to choose from (and you can’t go wrong with any of them! ), like Siracha Teriyaki, Bacon, Orange Apricot, Cherry Maple, Caribbean Spice, Caribbean Black, and Chipotle. 6. Gayle Dowell Jewelry – First spotted during a trip to the Manhattan Flint Hills Discovery Center, Gayle Dowell’s jewelry reflects the beauty of the prairie. 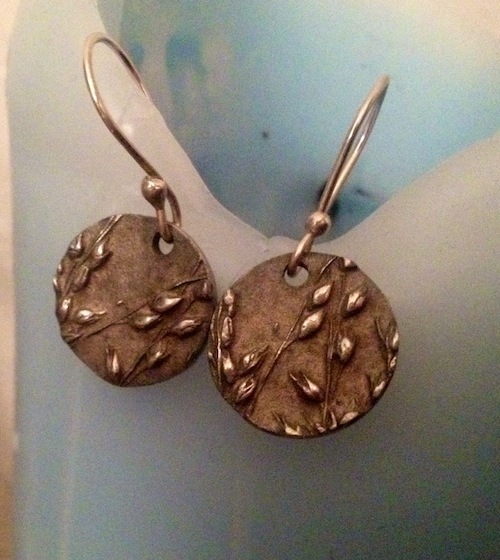 With earrings, pendants, rings, and more, her jewelry has imprints of real prairie wildflowers and seeds in the metal. 7. Kansas State Parks Pass – An annual pass to the state parks of Kansas is one of the best deals going. For less than $20, you can have an entire year of unlimited access to some of the best outdoor recreation in the state. 8. 8 Wonders of Kansas Guidebook – After getting off the trail, this book is the perfect guide to appreciating and experiencing the most awe-inspiring parts of Kansas. Written by a true expert on the Sunflower State, this guide is an invaluable part of every explorers library. 9. 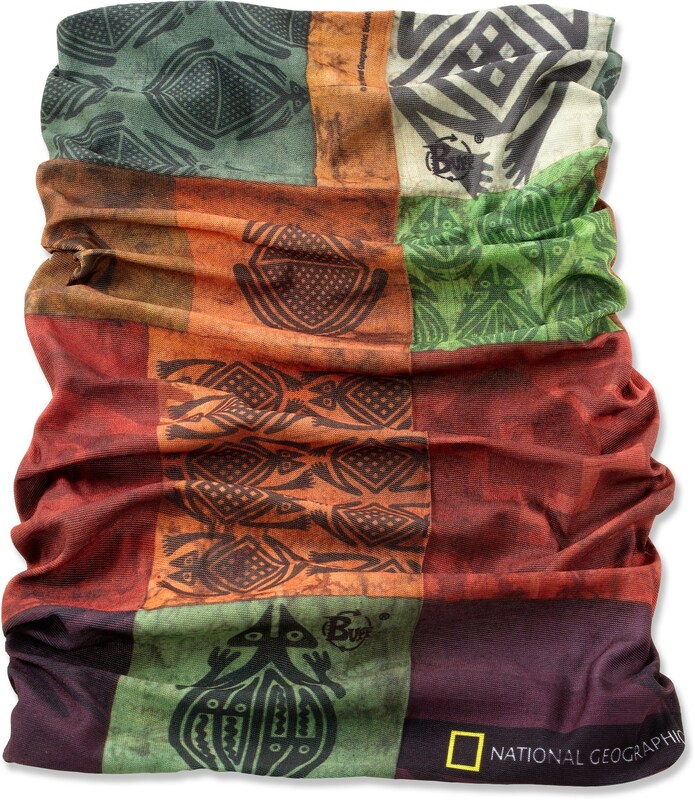 Original Buff – A bandana has infinite uses on the trail. This is even better. Sun-protection, clean-up duty, neck warmer, or even make-shift potholder, do everything in style with this Buff from REI. 10. Go Pro Camera – Document your greatest exploits on the trail in high resolution and vivid clarity. Easy to attach whether you’re on foot, on a bike, or on a horse, it’s easy to use and makes it easy to share your adventures. Overland Park is now home to Kansas’ first REI store in its new $427 million development Prairiefire. Opening weekend was the first week of October, and you should stop by for a visit! While I’m a fan of independently owned, smaller stores, REI, though it’s a big company, has to be one of my favorite stores in terms of quality hiking gear, in large part because of their return policy. If you use the item, and it doesn’t work out for you (shoes give you blisters, shirt shrinks in the wash), they will take it back within a year of your purchase. So instead of having to hope for the best in terms of your gear working they way you want it to, you’ll always know you can go back and try again. 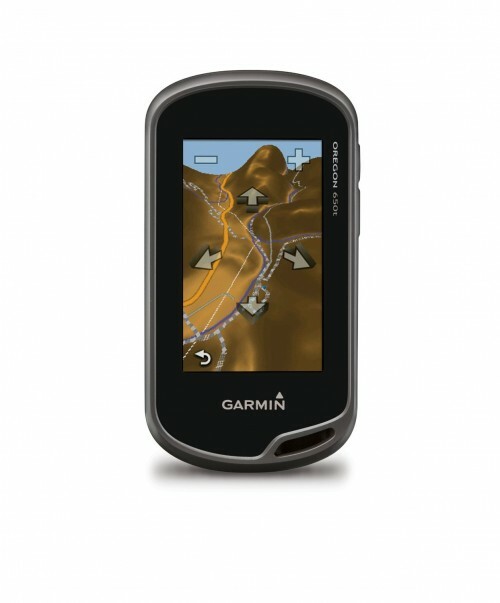 They also sell Garmin devices, including the Oregon 650t, which we’ve tested and love. Activities coming up with REI that will get you out exploring the Kansas City area (which, yes, does include Kansas City, Missouri, though our book will just focus on the Kansas side of the city). October 19, 2013 from 8am to 5pm. Lake Perry Rocks! Trail Run at Branded B Ranch. November 9, 2013 from 9:30am to 1pm. EarthRiders Mountain Bike Club is proud to present the Kansas City Women’s Dirt Summit, a free, open event for women mountain bikers! Professional Childcare Provided. And coming in May 2014 to Prairiefire will be a natural history museum called The Museum of Prairiefire. It ties in perfectly with the idea of our book – along with mapping out the trails, we’re going to be including some of the natural history of the areas, so you’ll have some context to where you’re exploring. And this museum is going to be a pretty big deal. It’s a partnership with the American Museum of Natural History in New York City. For a sneak peek at part of the exhibits, there’s the World’s Largest Dinosaurs temporary exhibit that opened the first week of October 2013. Featuring a life-sized, detailed model of a 60-foot-long Mamenchisaurus, the exhibit will run through the beginning of January. Ticket cost: Adults: $10; children 12 and under: $5; Museum of Prairiefire Members: free. The center is between 135th Street and 137th Street between Nall Avenue and Lamar Avenue. Staying the night in Overland Park? We’d recommend the DoubleTree by Hilton.